At O’Leary Law Firm, we give you the tools to make better business happen. We make a special point to stay on top of the latest developments in Illinois real estate development, construction law and condominium law—and we share that here. Below you’ll find links to complimentary resources and articles concerning the latest Chicago construction news and issues. We discuss common problems our clients face and how to handle them. We’ll show you real case studies and developments in construction, condominium and real estate development law that can affect your business outcome. And if you have the need for a Chicago construction lawyer for any related concerns, we are always happy to assist. O’Leary Law Firm has authored articles covering today’s top legal issues regarding the construction, condominium, and real estate development industries. If you’re a contractor, subcontractor, developer, Association, property owner, condo owner, Coop owner, supplier, landlord or tenant—we have information to help you understand and facilitate your legal matter. Change is constant and happens at lightning speed in Chicago’s construction and real estate market. 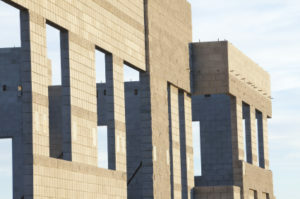 Our legal blog keeps you informed about Chicago construction news topics, developments affecting Condominium Associations and condominium owners, plus what’s happening in Chicago and throughout Illinois with real estate development that might impact your situation. If there is one thing we hope you realize by visiting our blog – whether your case concerns construction issues, condominium law, real estate development or commercial leasing – it is that you have legal remedies and resources available to help you now. Construction companies, associations, developers, home and property owners throughout Cook County and surrounding areas count on O’Leary Law Firm for the trusted guidance that enables them to achieve their goals.